Aww I love seeing the two of them. Colleen, Kelso and Brooke have an interesting dynamic. Note: Today's comic has some language that might not be appropriate for , so I'm linking to it instead. Comments: Instead of the big emotional concern being about Kelso for this episode – as it is in the show – I put the focus on how Kelso hurt Jackie throughout the totality of their relationship, as well as the hypocrisy of worrying so much about Kelso’s feelings in the situation when Jackie’s feelings seem not to be nearly as important. 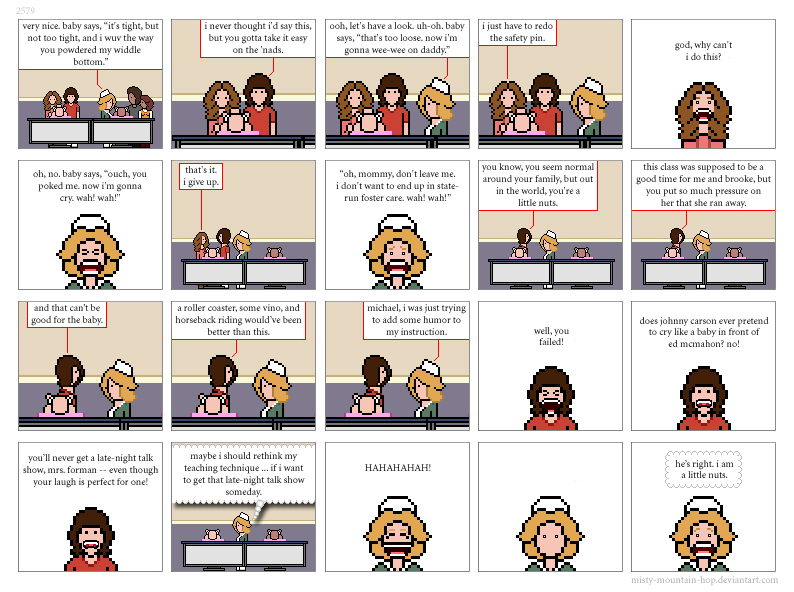 Eric and Donna’s attitude, for now, remains as it is in the show; but the comics present it as a representation of the show’s point of view on the Hyde/Jackie/Kelso situation rather than aligning with it. I love Kitty's laugh, too, Matt. I really like the classic Lisa! Comments: Today’s comic continues yesterday’s meta commentary through characterization and dialogue. 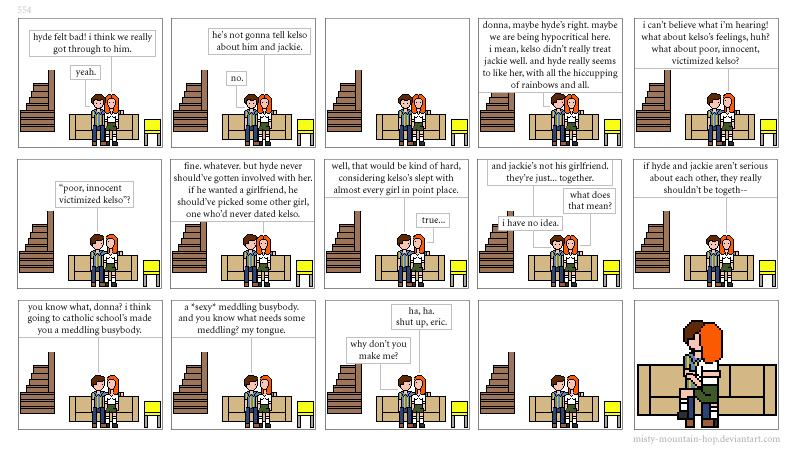 Eric now breaks from the show’s POV about the Hyde/Jackie/Kelso situation while Donna represents it. Part of her dialogue is meant to make explicit how “What Is and What Should Never Be” seems to consider Kelso and wants us, the viewer, to think about him, too. Colleen, Eric definitely made a mistake. But Donna could've called him out on it instead of going with Mitch to that wedding. Yikes. I love hearing them talk it out.